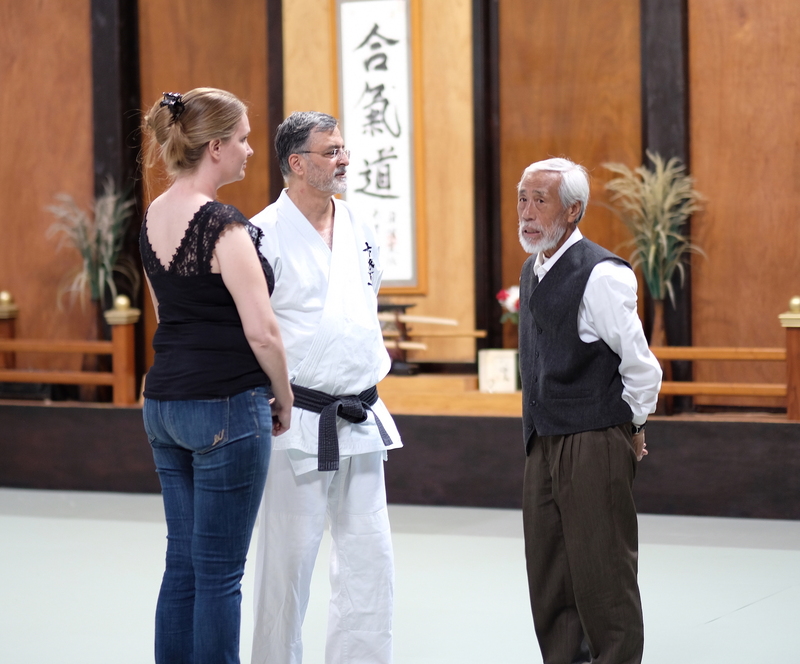 In late August, I attended a seminar with Mitsugi Saotome Shihan in Redlands, California. 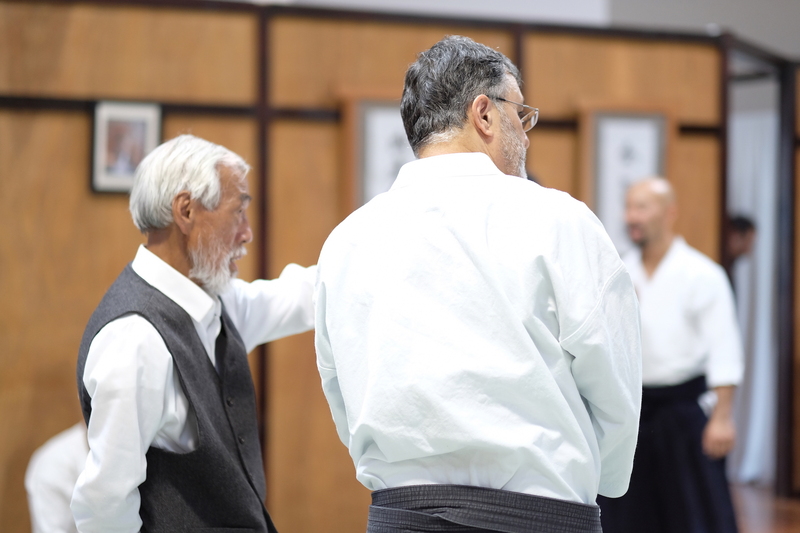 While I have long known of Saotome Sensei as one of the living legends in the aikido world and and I have a number of friends in his organization, I’d never seen him in person nor trained at an ASU seminar. This photo journal captures some of the highlights from the event and my impressions of the seminar and the ASU community. We hope you enjoy the photo journal. 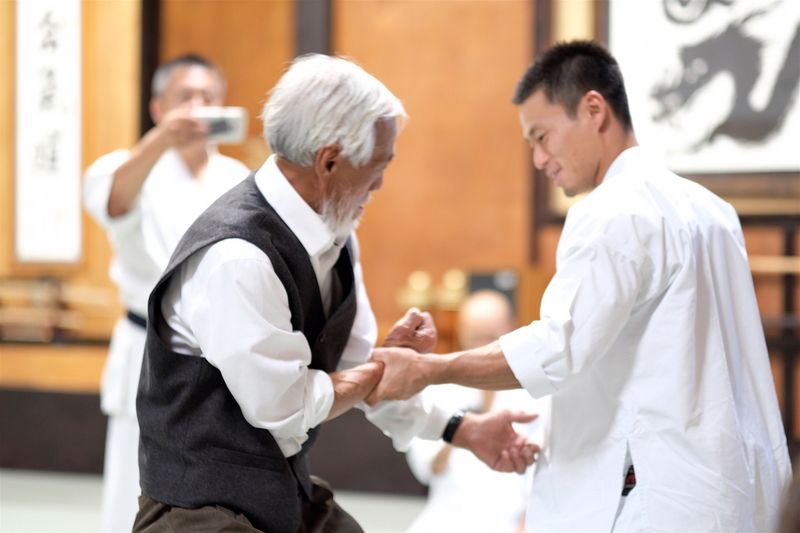 Pictures by Anne Lee, an Aikido Journal photojournalist. 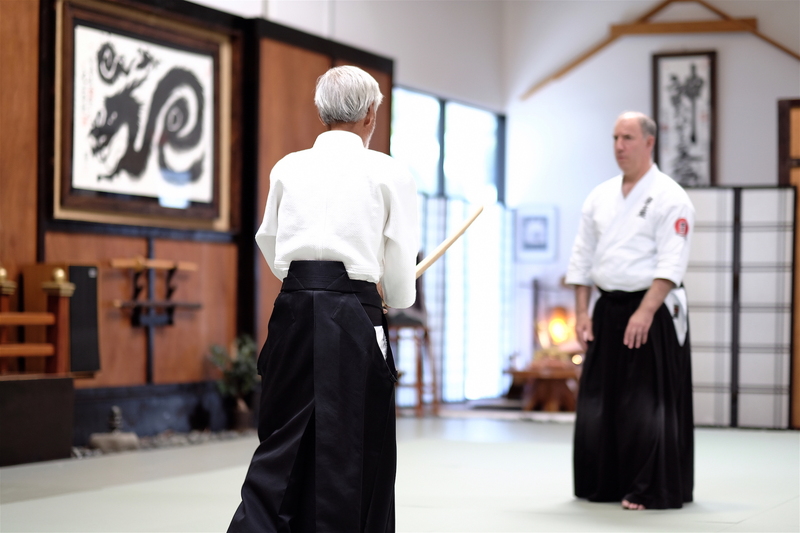 Redlands Aikikai is located in an industrial / office park in Southern California, similar to the location of my own dojo. From the outside, the Redlands dojo looks like a standard building. The plain entrance gives no indication of the scale and beauty of the main training hall of the dojo. 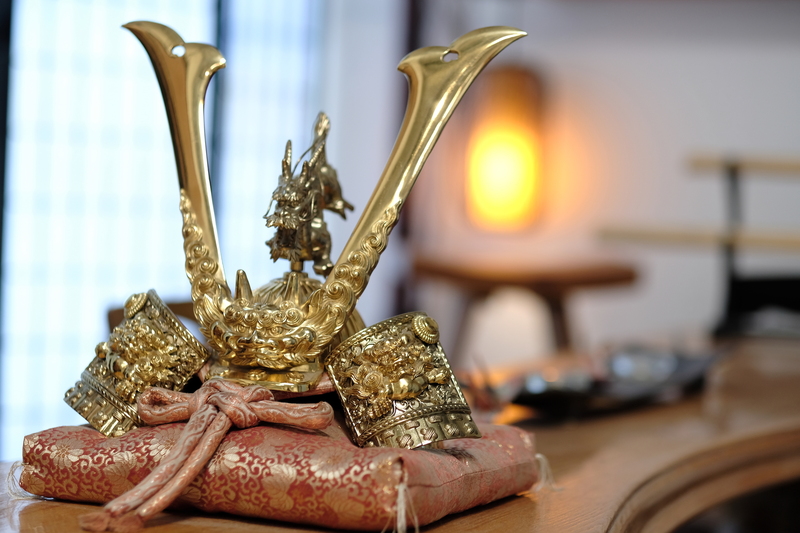 The space is huge, constructed with exceptional care and attention to detail, and filled with beautiful artwork. 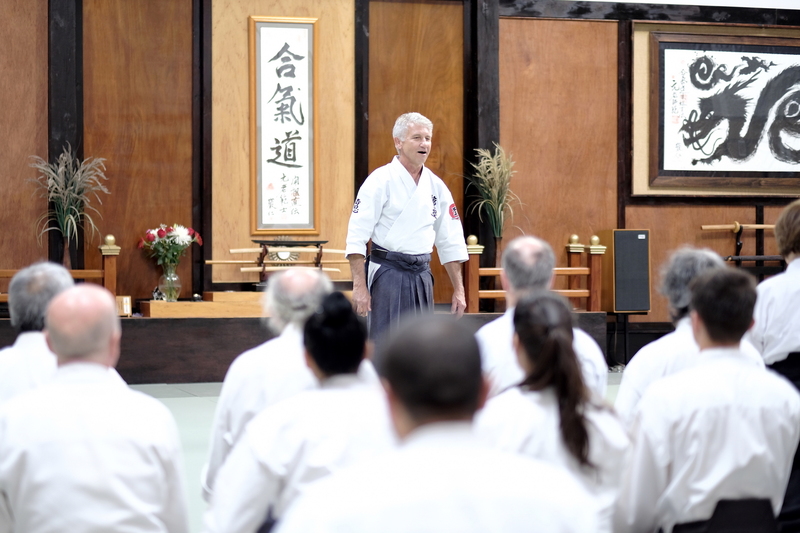 There’s no question why this is such a popular dojo for hosting large-scale seminars and events. 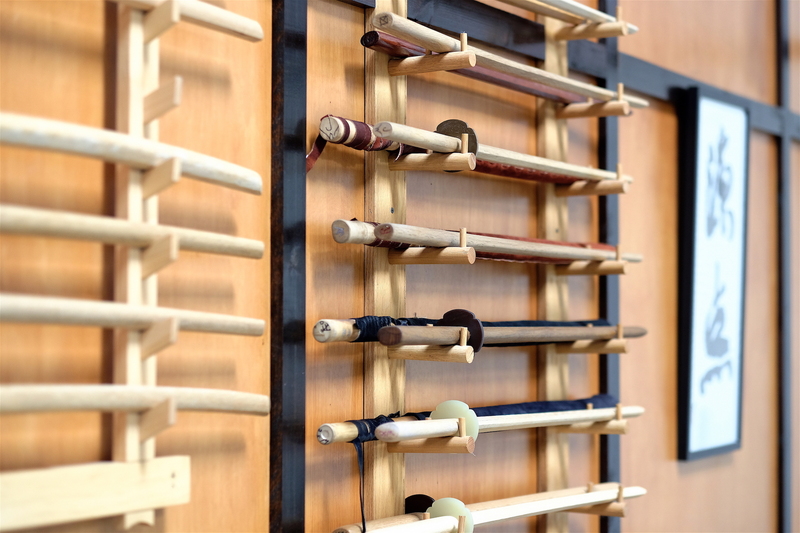 Weapon racks at the Redlands Aikikai. Putting on the hakama and mentally preparing myself for a day of focused learning and training. The shomen in the background features original artwork by Saotome Sensei. 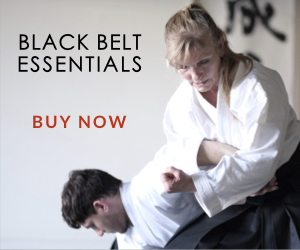 Before the seminar, I watch as these two practitioners warm up with an interesting kaeshi-waza (technique reversal) training exercise. It was pure aikido technique, but the flow and structure of the training method reminded me a bit of drills I’ve experienced in Filipino Kali. It was great to see. I find these kinds of drills to be a great method to warm up the body and build natural responses to technique counters, something I feel that we, as aikidoka, can improve upon. 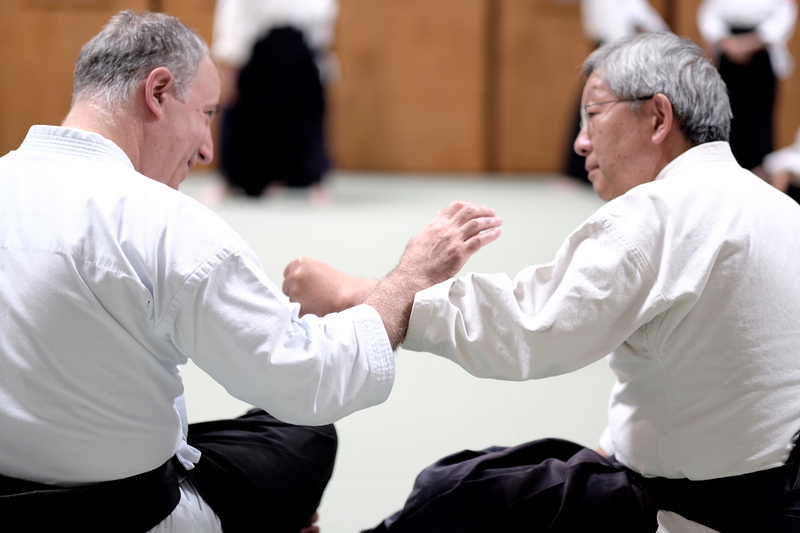 Josh Drachman Sensei and Mark Adachi Sensei reconnecting on the mat. Neither are young men, but take serious ukemi from Saotome Sensei on this day. One of my first impressions of Saotome Sensei was his uniform: style, presence, and precision. 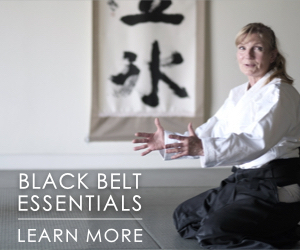 His dogi, belt, and hakama were perfectly tailored, tied with precision, without even the smallest wrinkle or blemish. Some may view this as trivial or inconsequential, but I see this as a demonstration of his awareness and attention to detail, as well as a reflection of his vision for the art of aikido. Aside from my first impressions on his training uniform, I was also struck by Saotome Sensei’s posture. I’ve practiced yoga for a number of years now and place great value on understanding biomechanics and using skeletal alignment to aid balance, movement efficiency, and power generation. I’ve rarely seen someone in their 80s with this kind of body awareness, posture, and presence. 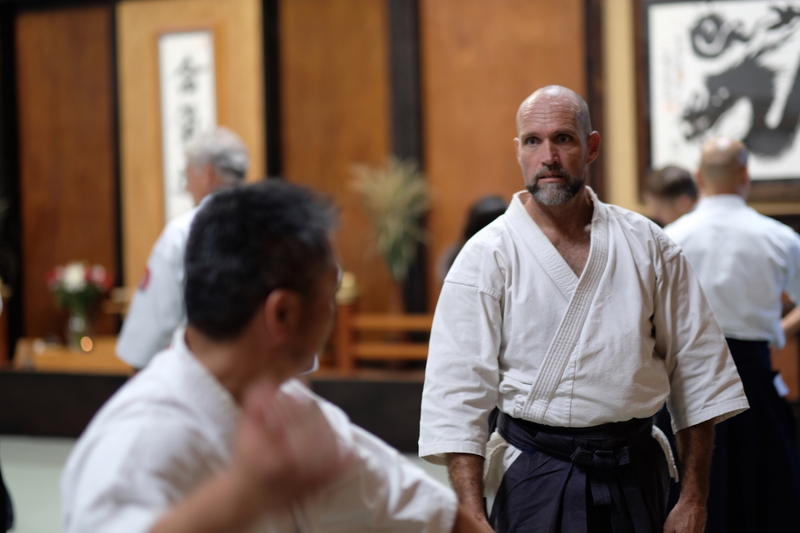 Josh Drachman Sensei doesn’t know what’s coming, but he’s focused and ready to respond. 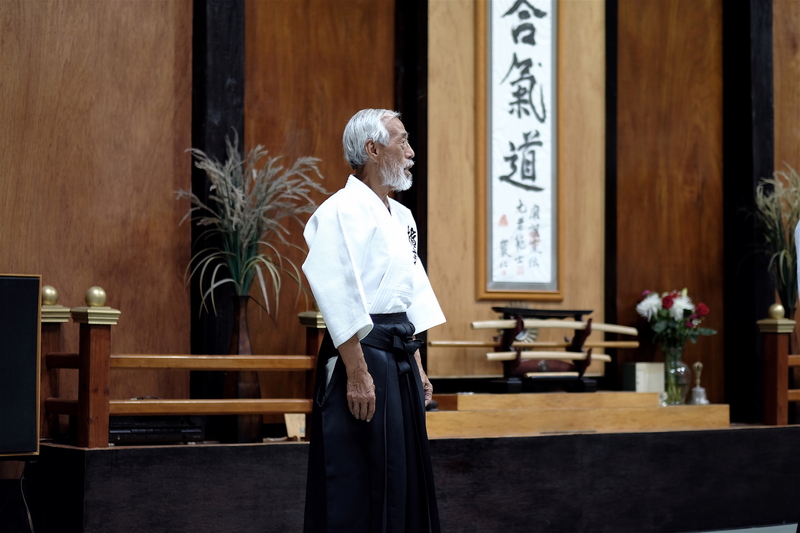 A great master and a beautiful dojo. This is one of my favorite pictures from the event. The dragon artwork in the background was brushed by Saotome Sensei. It’s spectacular. Saotome had fiery moments at the seminar, but carried a warm and lighthearted spirit throughout the day. A mother and teenage son training. The young adult participants at this seminar were few. A general lack of young adults in the art is something observed not only here at this seminar, but across our community as we learned from our survey in the Spring of 2017. The few young adults who attended this seminar were well-supported and given attention and guidance from the senior instructors at the event. 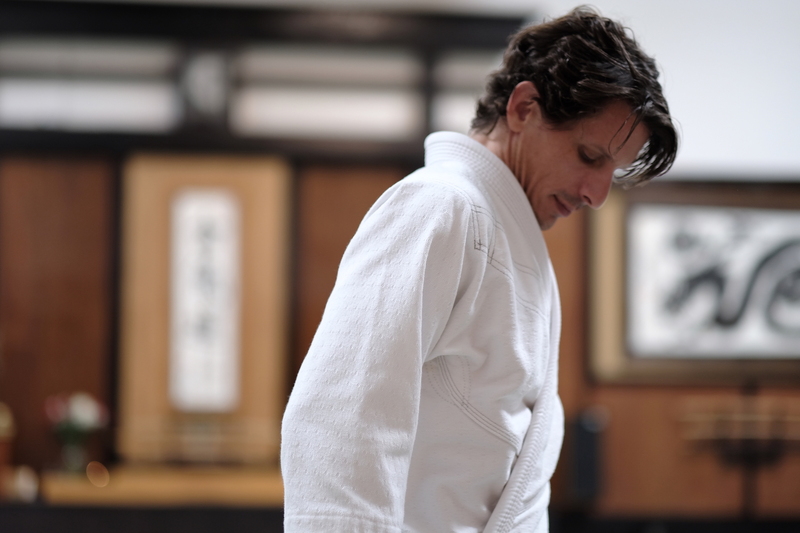 John Messores Shihan (7th dan.) This was my first time meeting Messores Sensei, though I have long known of him in the aikido world. 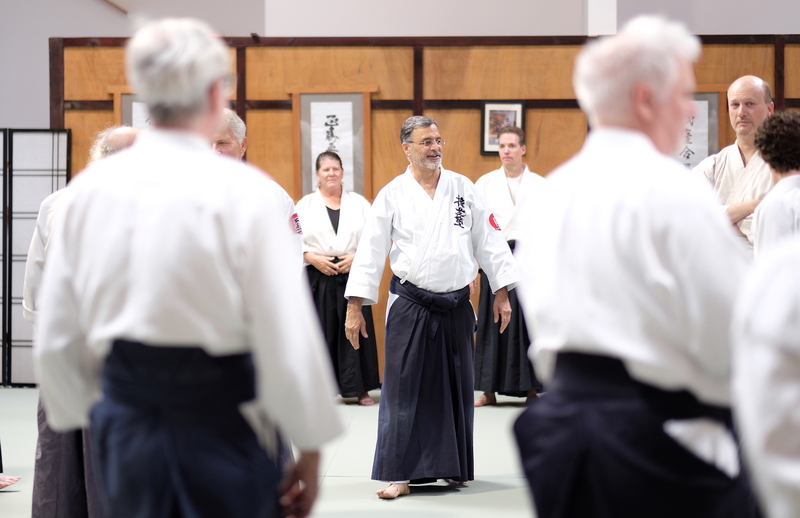 During Saotome Sensei’s class, he came over to give me or my partner corrections a few times. 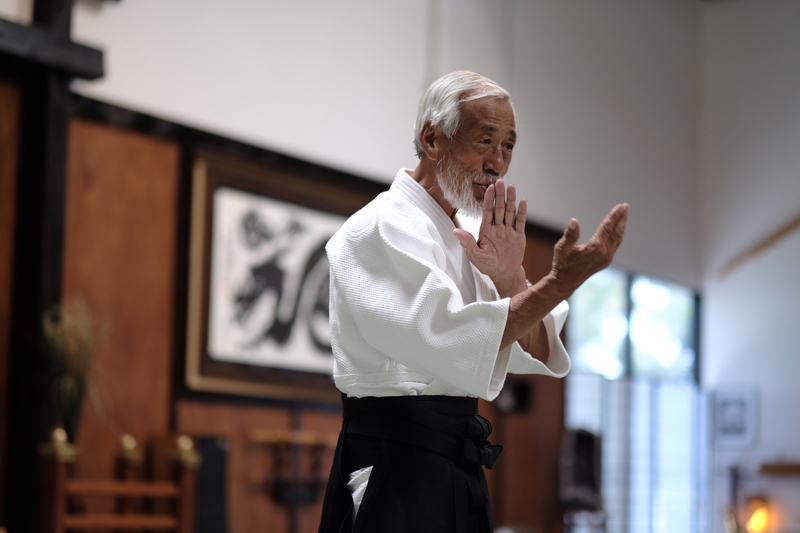 There were some very accomplished martial artists on the mat that day, but when he threw me, I was struck by the distinctiveness and effectiveness of this man’s aikido. James Sterling Sensei (3rd dan). 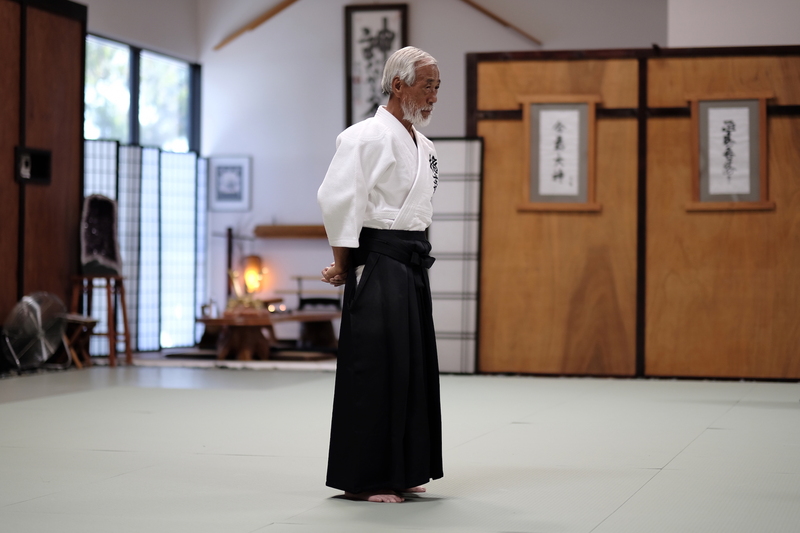 Any skeptics who believe the art of aikido is incapable of forging an authentic warrior should meet Sterling Sensei. He’s got a huge heart, solid technique, the spirit of a leader, not to mention that he’s tough as nails. Messores called up James as uke for a demonstration. I was a little shocked to see the ferocity of his attacks. Nothing reckless, but James was attacking with tremendous power and speed, as well as dead-serious intent. This was not a highly polished, choreographed demonstration. Messores was putting his aikido to the test against real attacks with serious power. He even got clipped by one high speed strike, acknowledged it, and moved on. This was a little beyond the intensity level of a typical class demo, and I liked it. 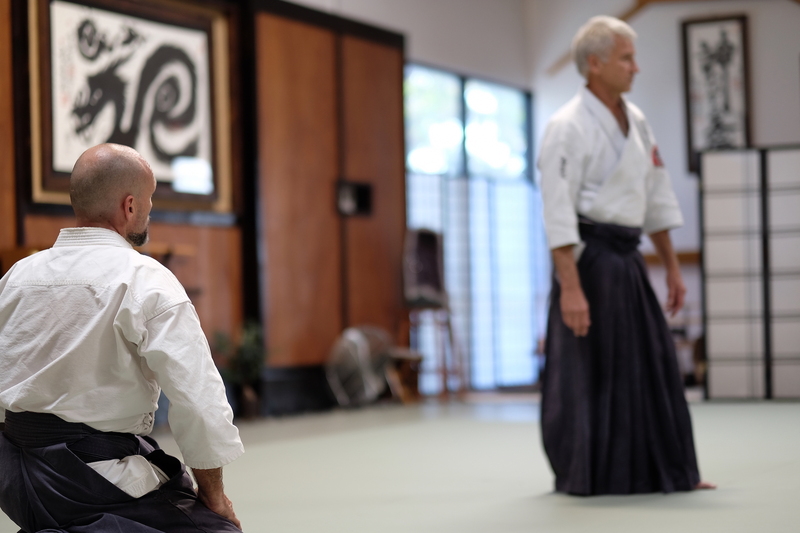 Not everyone will have the technical skill or inclination to share their aikido this way, but I was genuinely impressed and respect the approach. 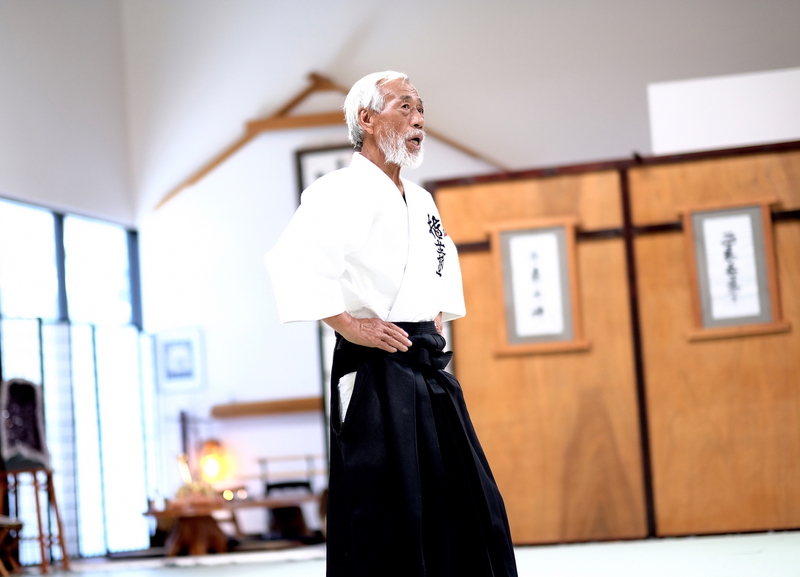 Chetan Prakash Sensei, Chief Instructor of Redlands Aikikai (6th dan). 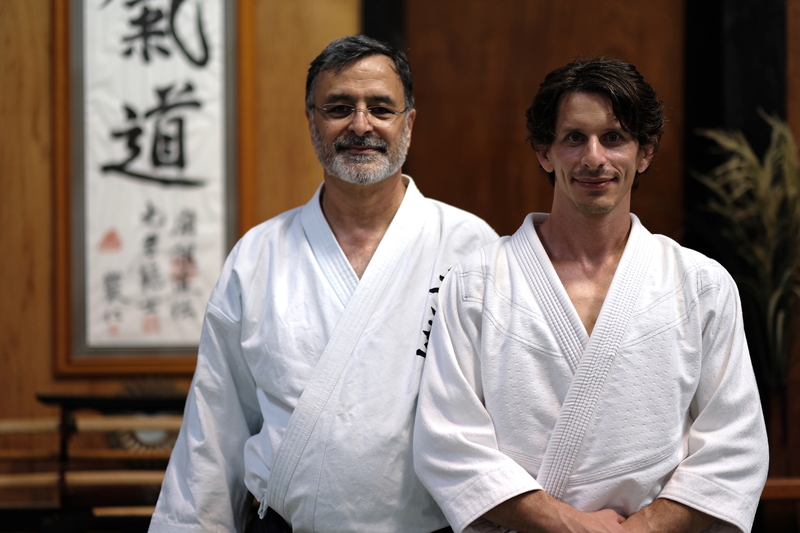 I got some great technical guidance from Prakash Sensei and really enjoyed my time on the mat with him. Chetan is humble, kind, exceedingly intelligent, and a true pleasure to be around. He’s a professor of mathematics and physics and leads a research initiative focused on human consciousness. 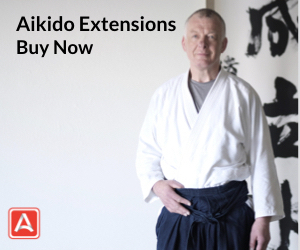 He’s fascinating to talk to and a great ambassador for the aikido world. Messores Sensei calls me up for ukemi. I was a bit surprised, but very quickly throttled up my awareness and focus. I only had a few minutes to experience Messores Sensei’s aikido directly, but in this demonstration he completely shut me down by placing me in a perpetually reactive state. As soon as I attacked, I was immediately counter-attacked. As soon as I entered into his space, I was barraged by a flurry of atemi with fists, open hands, and elbows. Then, somewhere in the midst of my tracking, repositioning, and defending against his atemi, I found my balance broken and a very controlled throw was executed. All of my awareness and mental processing power were consumed just defending myself and I had no mental bandwidth left to focus on tracking his position, resisting, countering, or initiating other attacks. Messores Sensei’s aikido was extremely effective and he made it work in a way I hadn’t experienced before at that level. I met many new friends at the event and felt very welcomed by the ASU community. Prakash Sensei, happy to see good friends bring another successful day of training to a close. Mitsugi Saotome and Chetan Prakash after training. Kristine Prakash, Chetan’s wife, did a fantastic job organizing the seminar. I had the opportunity to speak with Messores Sensei at length after the seminar and into the evening. I very much enjoyed my time with him and found him to be knowledgeable, open-minded, willing to take risks, and happy to share his experience and perspective. I was delighted to see a group of kyokushin karate practitioners join the event. They enjoyed learning from Saotome Sensei and I imagine the aikidoka on the mat had the opportunity to learn quite a bit from training with these karateka. 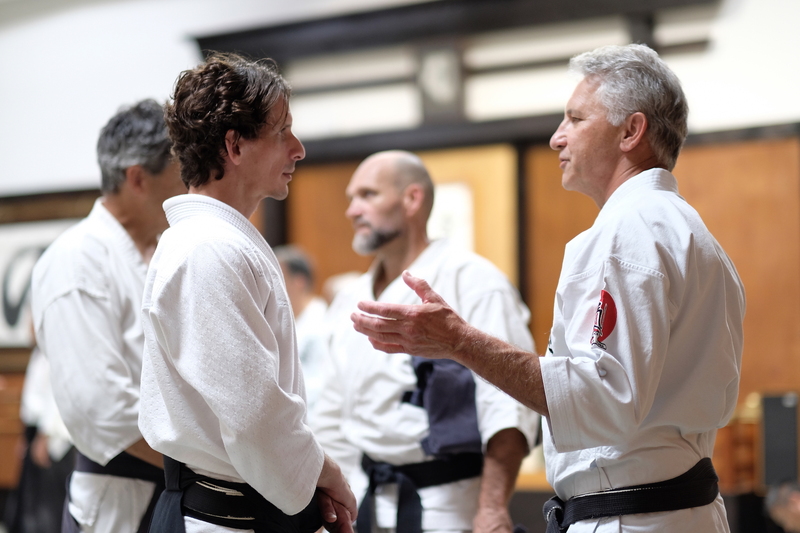 Saotome Sensei sharing body alignment and internal power concepts with a kyokushin karate instructor after the seminar. 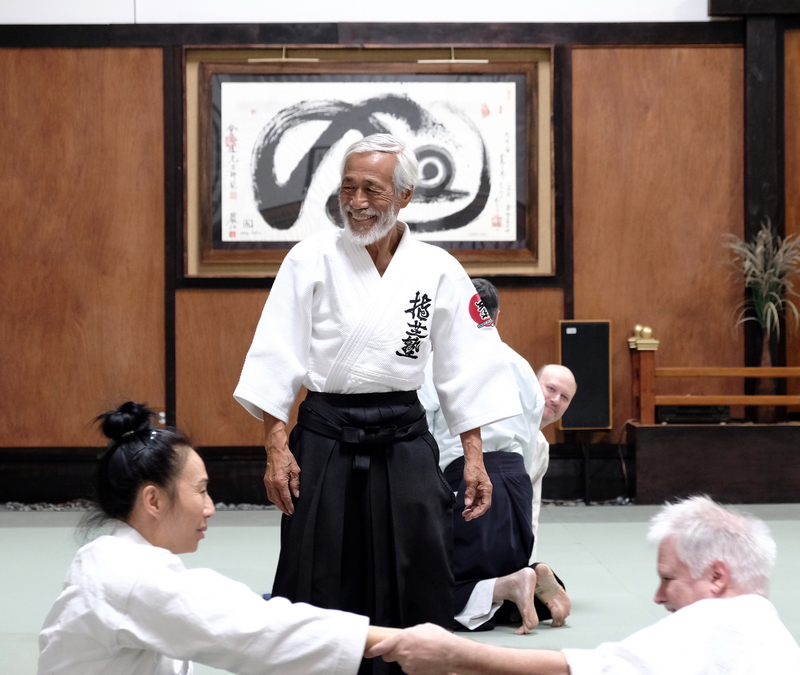 A special thanks to Prakash Sensei and the Redlands Aikikai for their friendship and invitation to this very special event. After the seminar, I went back to watch a video of Saotome Sensei from the 1985 Aikido Friendship Demonstration. 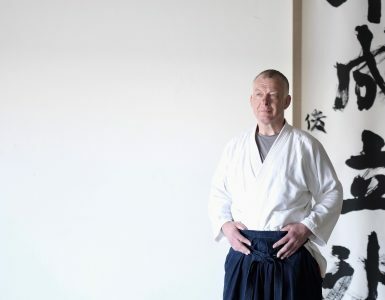 At this time Saotome was 48 years old, only 2 years older than I am now, and had 30 years of aikido experience – 4 more than I. 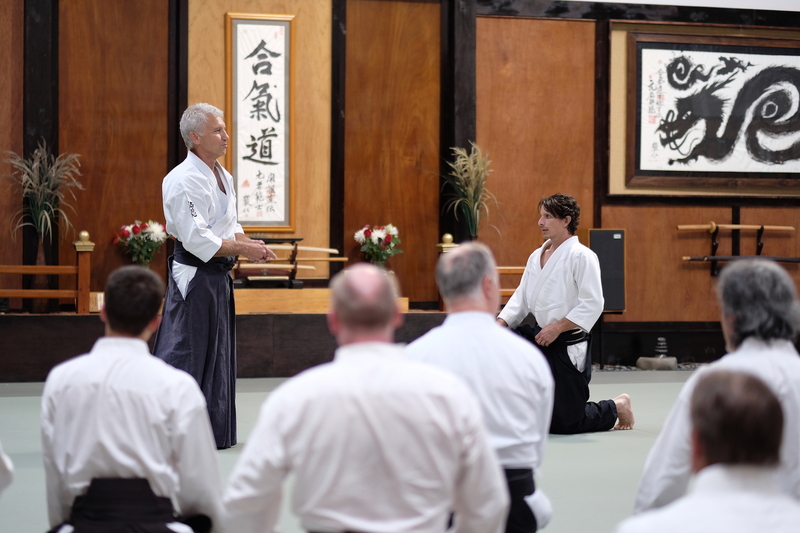 It was inspirational for me to watch his movements and I found it fascinating to see the refinements and adaptions he’s made to his aikido since the time of the demo. Shawn, Go to the seminar in Chicago! Great training at one of the most beautiful Dojo! very authentic report and while reading I understand why you liked it. 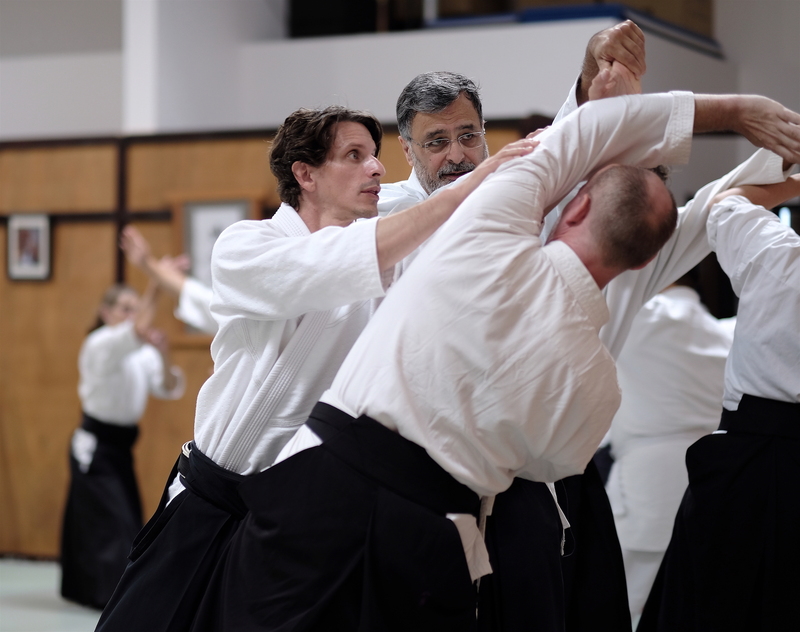 Photos are superb and they captured the essence of the seminar in a way that makes me want to attend the next one, I’m very glad to see you met a lot of serious students and instructors that have a passion for Aikido, I hope I can meet and learn from them soon as well. Very interesting. Could Josh Gold please email? There’s none greater than Saotome-shihan! I always miss Kevin Choate-sensei when I read positive things about Sensei. I hope that he continues to enjoy great health and vitality! 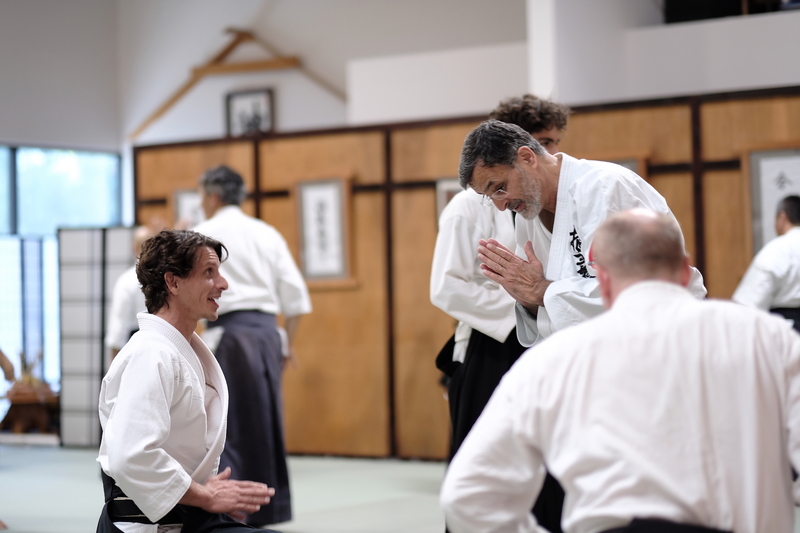 Also, excellent idea of capturing the dojo atmosphere and seminar instruction in photos. Very cool!! Thanks Josh-it was great meeting you at that ASU seminar with Saotome Sensei. It’s always good to get an ‘outside’ perspective as all of us are in danger of becoming a bit clan like with our particular community from time to time. Keep up the fine work with the Journal . Very well done article on Saotome Sensei with great pictures as well. Thanks Josh for putting this together. 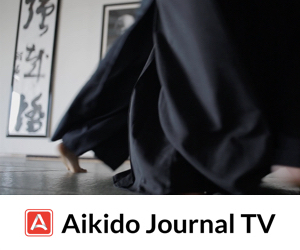 Aikido Journal is certainly moving in a very positive direction. As a former student of Saotome Shihan and resident of Taipei, Taiwan for the last three years, the thing I miss most about America is training with Saotome Sensei. 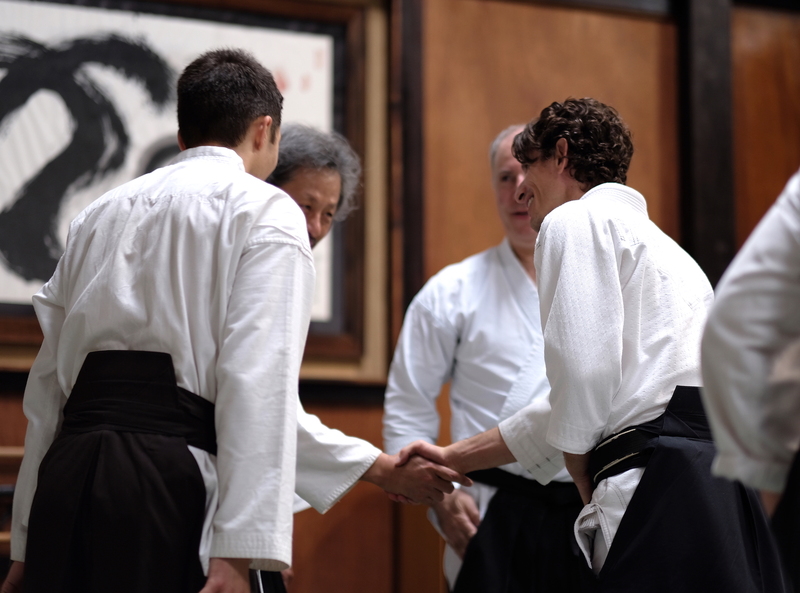 Josh, I wish you much success on your new journey with Aikido Journal.This article was wonderful- very nice fotos and excellent impressions of the day ! 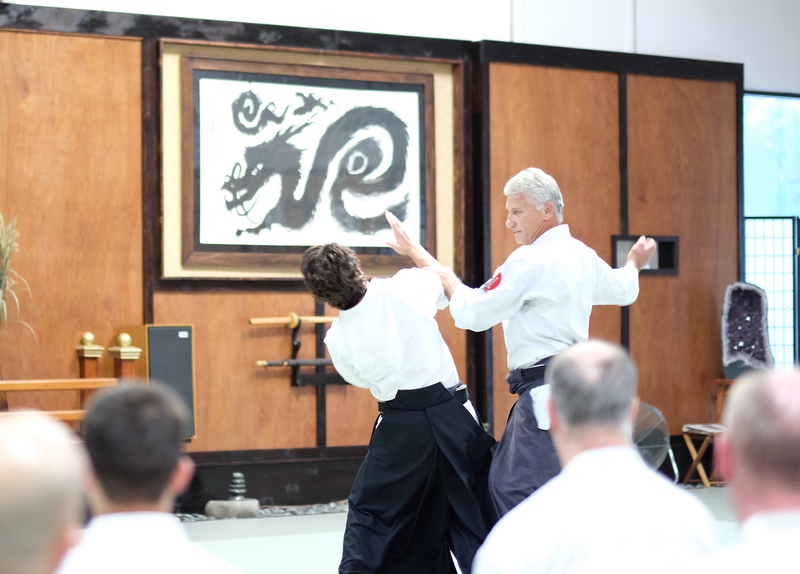 As a recent Shodan,I am only now REALLY starting to appreciate the depth,complexity,simplicity and beauty of Aikido. Being in Italy,I don’t have acess to many of these Aikidoka (missing various expressions of our art) but consider my self most fortunate to be able to follow Tada Sensei from the beginning of my personal journey. Stammi bene e in bocca lupo per Aikido Journal ! Exchanging ideas with the karatekas is the sort of thing I think should be encouraged. I’m not sure I could survive cross-training with them, though. Lovely pics! The photo journal with remarks below is an effective way to convey the experience to those who weren’t there. 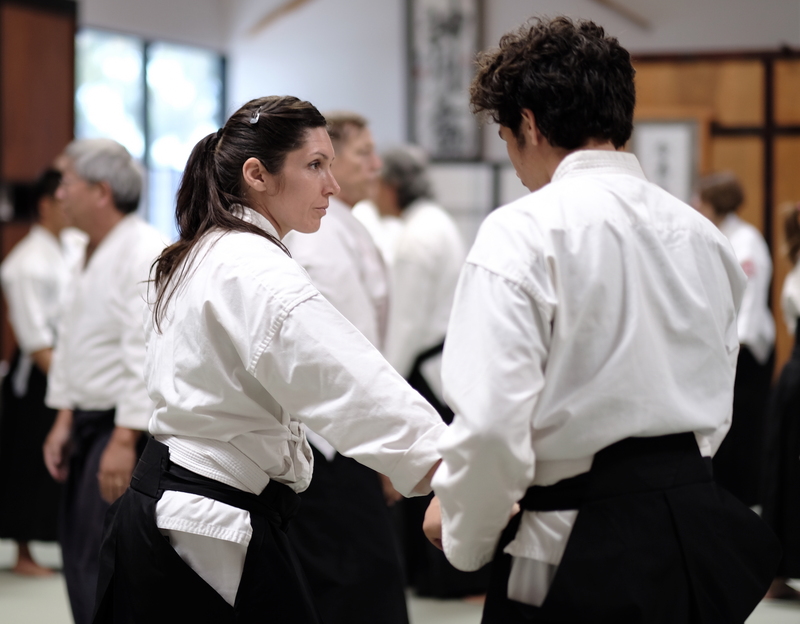 One of my few experiences of “mystical” Aikido was while taking ukemi for Saotome Sensei. I’m pretty good at attacking. I could have spelled a-t-t-a-c-k while facing him, but the actual strike was LAME. I may now be able to “do” that, and/or disappear, judging from the reactions of three prospective muggers in San Francisco some years ago. How? Years of dedicated practice? Dumb luck? The intervention of the kami? Good article. 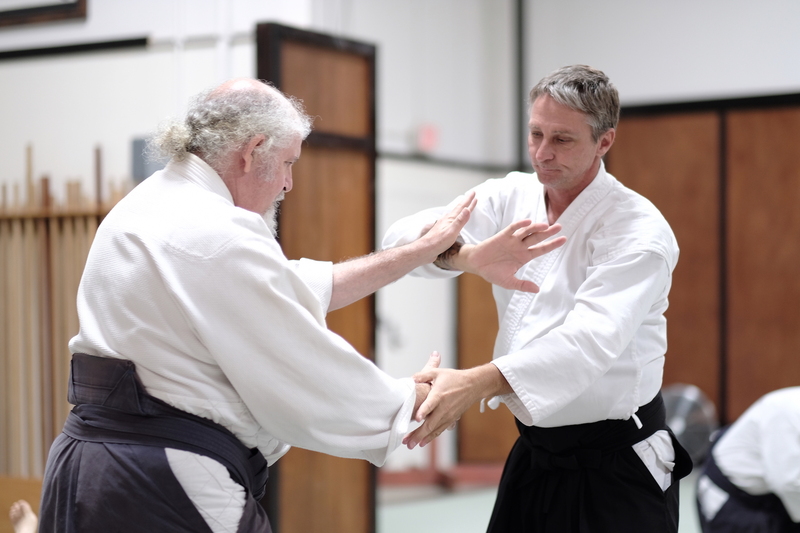 I started my Aikido journey with an ASU school in Tulsa years ago. Never attended a seminar of this level, but I learn remotel,y via your articles and vids. Thanks for continuing the Aikido Journal.